This book is especially for you! It speaks about growing up and things very true. others difficult, but must be done. There will be time to learn and time to play. Remember, even grown-ups grow each day! 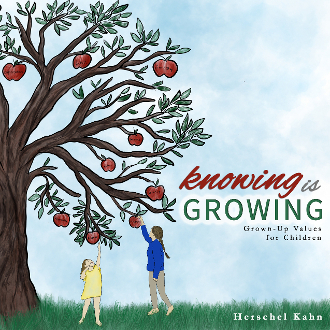 Beautifully illustrated and thoughtfully written, Knowing Is Growing helps young ones understand the most important values life has to offer. After each value comes a discussion question for parents and children to review together.